With nearly 800,000 people dying from cardiovascular disease annually, it’s no wonder dentists and other medical professionals are trying to figure out ways to catch and treat heart problems sooner. By understanding the link gum disease holds with heart disease, dentists can discover heart problems in patients and reduce the chances of complications later. Today, your dentist wanted to highlight this link to help patients protect themselves, as well as remind them why regular dental visits are important. Scientists suspect the link between poor heart health and gum disease is tied to the bacteria that causes both. 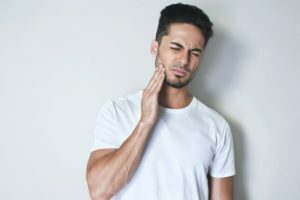 Bacteria discovered in infected gum tissue around the teeth break down the barrier between the gums and underlying connective tissue. This triggers inflammation and simple tasks like brushing or eating can cause this bacteria to travel from the mouth into the bloodstream. From here, the bacteria can access any area of the body. Once in the bloodstream, the bacteria contributes to arterial plaque buildup. Over time, this will narrow the arteries and eventually break loose, leading to a clog. This can easily trigger a heart attack or stroke in patients. Without taking care of your oral health, the heart will only be put at additional risk. This is why it’s so important to visit your dentist every six months for exams and cleanings. According to the American Academy of Periodontology, the following signs point to periodontal disease. If you have any of the following, you may need to seek periodontal therapy from your dentist. Through a process known as deep cleaning, your dentist can help you manage any gum disease or infections that may be present and restore your oral health. Floss to remove plaque deposits from the sides of teeth. Visit your dentist regularly. Only a dentist can remove calcified areas of plaque that you may miss. Consider using a mouthwash specifically for combating gum disease and plaque. Make sure it uses fluoride as an active ingredient. Your dentist can aid your fight against gum disease, but not if you don’t visit. Schedule an appointment with your dentist today to get your oral health status checked. Dr. C.J. Landry earned his Doctor of Dental Surgery degree from the LSU School of Dentistry. He utilizes an ultrasonic scaler to clear away plaque and tartar deposits and decrease patients’ chances of developing periodontal disease later. To learn more about his gum disease treatments, contact him at (504) 348-0080 or visit his website.